The whole Catholic Church is now rejoicing for they have a newly elected Pope. A white smoke that appeared at the Sistine Chapel's chimney at the Vatican City signaled that a new Pope is elected. 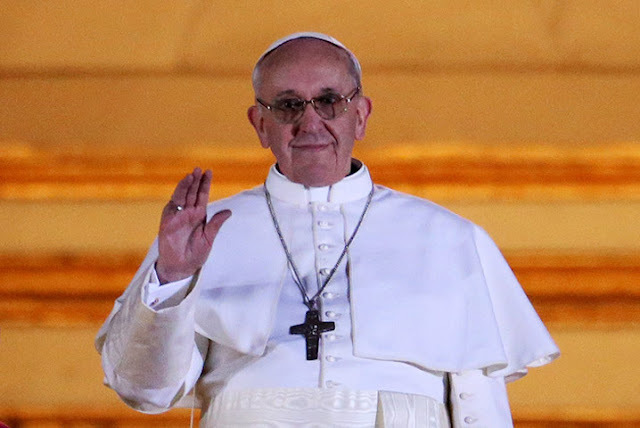 76-year old Cardinal Jorge Mario Bergoglio the archbishop of Buenos Aires of Argentina is the 266th Pope in Catholic History and now will be called Pope Francis. He is the 1st Jesuit Pope and 1st Latin American to be elected as Pope. At the balcony of the St. Peter's Basilica he vowed and asked the people to help pray to the Lord to bless him. With all the scandals and controversial that the Catholic church is facing now, I am positive and will pray that he can uphold the Catholic faith. What’s that lump on your couch? Get your kids away from the couch or rather computer and active. Childhood obesity is steadily increasing so now is the time to take action. The work starts at home. It’s as simple as encouraging and offering support. The following article lists some simple tips to help you eliminate couch potatoes from your family. Getting active is the best to get your kids motived. You are their role model whether you like it or not. You need to set the right example for them. If they see that you don’t mind get sweaty then they will have nothing to complain about. This means providing a healthy life style. Getting active together is not only a great way to stay healthy but to also have uninterrupted family time. If you already have sport interest you should try sharing this with your child. Don’t force them to get involved, just give them the opportunity to. 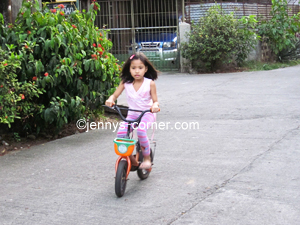 For example, if you are interested in cycling there are plenty of kids bicycles available. The prices won’t break the bank either. Encourage your children to sign up for a sport or activity. You just need to ask them what they are interested in. It’s all about letting them know that you will support them with whatever activity they choose. Let them know that they don’t have to make a final decision, let them experiment. There are so many sports to choose from. Eventually you’ll find that one sport or activity that they really enjoy. It might be the activity they enjoy or the social interaction. Most likely it will be a mix of both. What are your other friends with children doing? Contact your friends and ask them if they have their children involved in any sports or are thinking about it. This is a great way to find out what’s available. It gives you another source from the local parks and recreation facilities. Kids are more likely to enjoy an activity when they already know someone involved, they avoid the new kid status and awkward introductions. Ask them regularly about the types of activities that are available at school and what they would like to get involved in. Going through the school can save you lots of money and means your children are networking with more children in their grade. Encourage them to practice what they learnt in physical education, it’s more fun than any other home work. Now is the time to start taking better care of ourselves and families. It starts with a healthy lifestyle. Start with small changes like diet and move your way up slowly to active family outings like bush walks. Enjoy life!